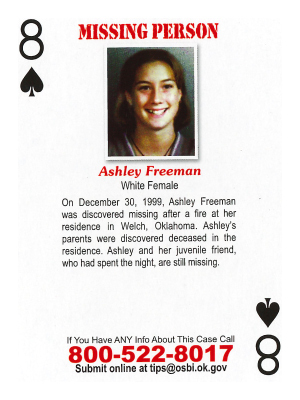 On December 30, 1999, Ashley Freeman was discovered missing after a fire at her residence in Welch, Oklahoma. Ashley's parents were discovered deceased in the residence. Ashley and her juvenile friend are still missing.